These came from Bob Pietrowski, who was on the trip that I had the pleasure of leading. The way that the pelicans appear to waterski upon landing never ceases to amuse me & Bob caught the moment superbly. 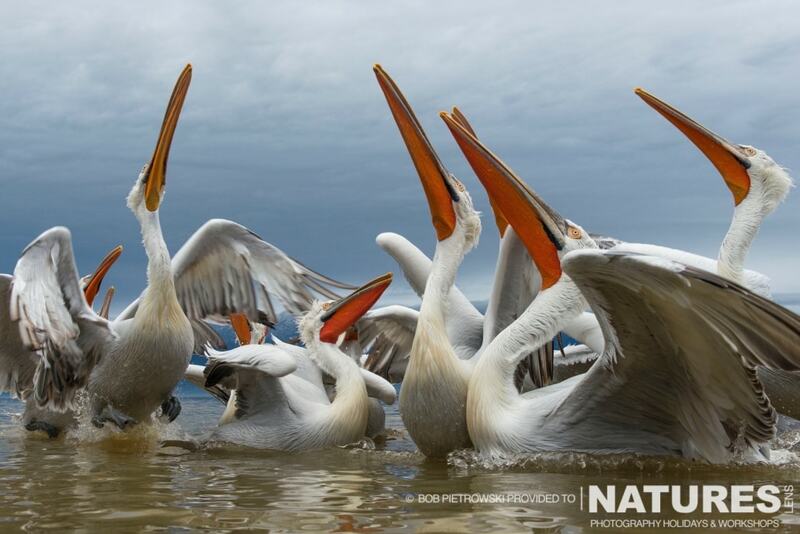 The pelicans are truly comical when ‘reaching for the sky’ at the shoreline feed. We do shoreline feeds each afternoon no matter the weather! If you would like to join Pui Hang who will be leading the trip next year, & capture some Dalmatian Pelican images of your own, booking is open for the 2017 trip, it’s worth noting that we include all accommodation, food, transport, boat trips, fish costs, permits & airport transfer costs in your cost, so all you have to pay for is any drinks & we stay in a lovely hotel about 10 minutes walk from the Lake in the northern area of the lake, no need to have a lengthy drive to the lake each morning! 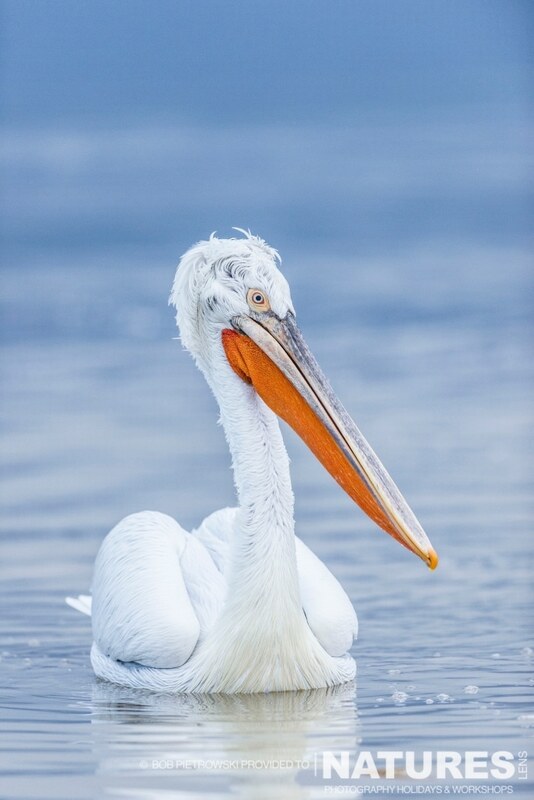 This entry was posted in client images, announcements, galleries, worldwide tours and tagged client images, dalmatian pelican, greece, pelicans, photography holiday. 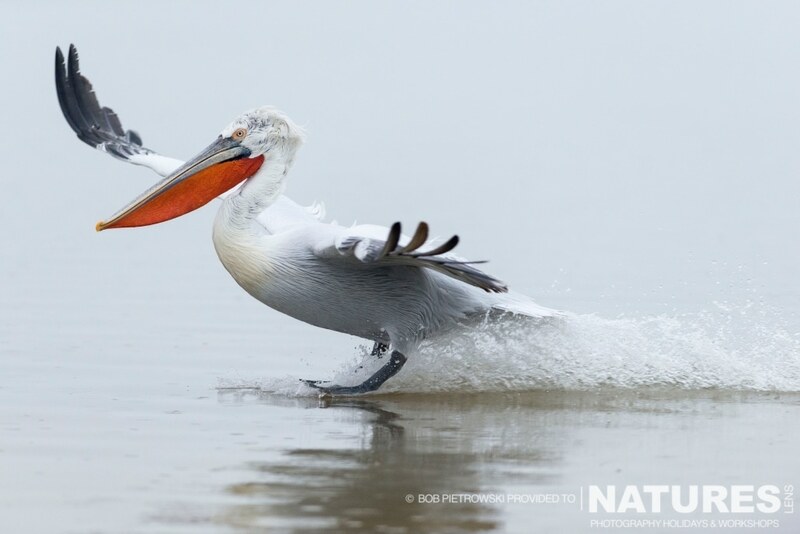 Whatever your query regarding our photography holiday, Still more client images of the Dalmatian Pelicans, please fill out your details below & we will get back to you.